We saw Vasyl Lomachenko win the WBA and Ring lightweight titles with last night’s superb win over Jorge Linares in what was a truly great fight, and in the summer we will see two other 135 pound champions – in Mikey Garcia, the WBC champ, and Robert Easter, the IBF ruler – get it on in a unification showdown set to take place on July 28 in Los Angeles. RingTV.com broke the news yesterday evening, citing a source that requested anonymity. It’s a good fight, maybe even a great one, between two young and unbeaten fighters who each have an exciting style. Garcia, 38-0(30) will be having his first fight at 135 since the night of January 2017 when he sensationally crushed Dejan Zlaticanin inside just three-rounds to take the WBC belt. Easter, 21-0(14) won the vacant IBF belt back in of 2016 when he won a thrilling decision victory over Richard Comney. 30 year old Garcia, last seen capturing a world title at a fourth weight when he decisioned Sergey Lipinets up at 140, will likely enter the ring as a considerable betting favourite against Easter. 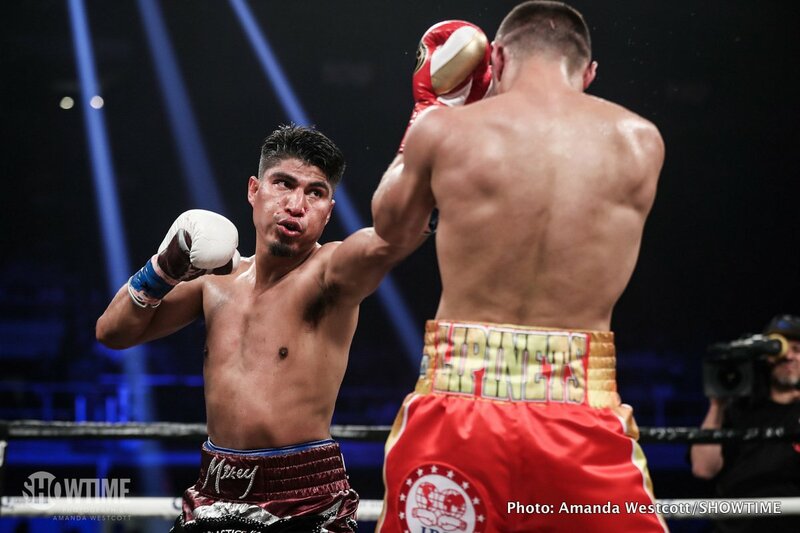 Easter, the younger man by three years, didn’t exactly look great in his last outing, when he scraped a 12-round split decision win over Javier Fortuna in January. That was Easter’s third title retention though, and he is sure to be as motivated as can be for the big fight with Garcia. The lightweight division is hot at the moment, due to last night’s great fight and this potential thriller. Ideally, later this year, certainly before the end of this year, Lomachenko will get it on with the Garcia-Easter winner. Just who is the top dog at lightweight? Many will say Lomachenko, but Garcia is a harder puncher. Easter has power too, though, and he will be aiming to upset Mikey and then get the massive fight with Lomachenko himself. And will the fact that he has fought above 135 in his last two fights affect Garcia at all? Good times indeed for fans of the 135 pound division. Next boxing news: Vasyl Lomachenko and Jorge Linares give us something special!